Cotto came into this fight the underdog with most odds against him and rightfully so. Even with Pacquiaou trainer Freddie Roach in his corner this was going to be an up hill fight for him. Alvarez remained dominant basically the whole fight. Cotto did everything right. He seemed to follow whatever game plan he had for beating Alvarez but nothing seemed to work. The punches weren’t landing enough or clean enough and when they did they didn’t seem to be doing nearly enough damage. They didn’t phase Alvarez much at all and when one combination finally landed that actually did seem to hurt Canelo he retaliated with an onslaught of his own that almost ended the fight. Everything Canelo was throwing was finding a home. 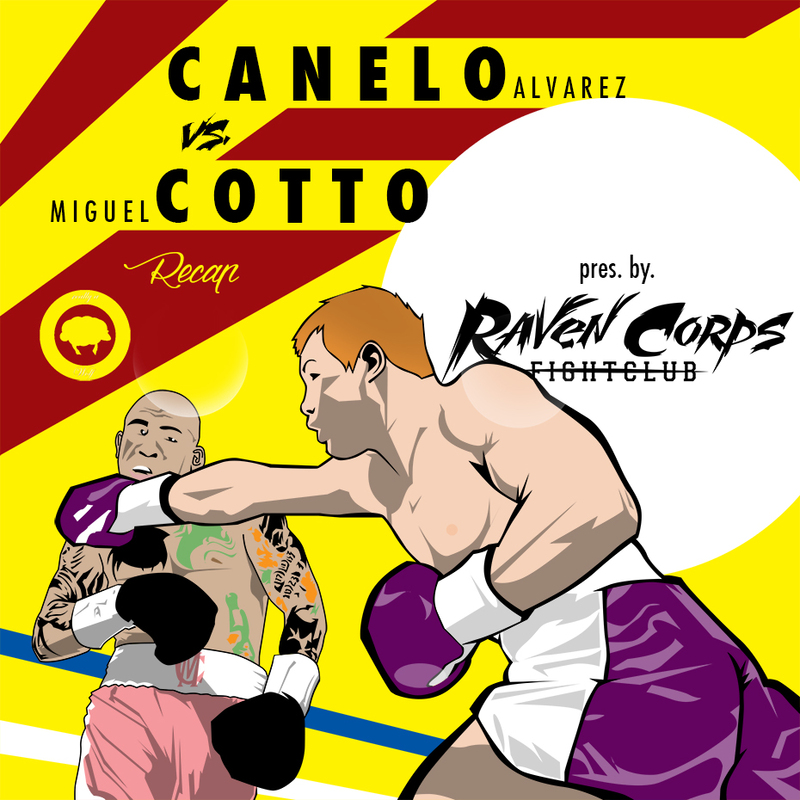 It was only a matter of time before Cotto was going down, I thought, and I was thoroughly impressed that he didn’t. In all honesty I believed that there were times that he could have escaped some of the punishment by taking a knee during a combination he couldn’t escape just to regain some stamina but due to his pride and his fighting spirit I knew he was not going to do that. He basically just managed to keep his balance and stay standing until the bell rung on some of those later rounds. Canelo was laying it on. He was super accurate and the power was slowing Cotto down. Easy decision for Canelo Alvarez but Miguel Cotto does come away with the larger purse netting a cool $15 million for his loss with the winner Canelo only taking home $5 million. Great fight for the fans. Neither country should be disappointed. Two extremely upstanding guys and you could definitely see the mutual respect they showed each other once that final bell rang. Cotto could definitely retire right now with no regrets. Alvarez is just getting started. What do you guys think? Who did you have going in? What’s the next fight you’re looking forward to?